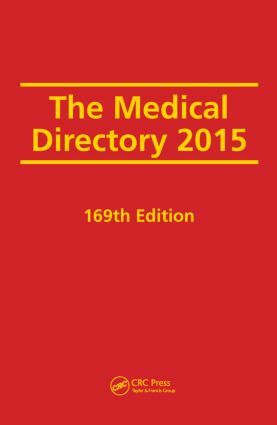 A full entry contains: name, unique reference number allocated by the GMC, contact details â€“ usually the main NHS hospital or surgery address for doctors still engaged in medical or clinical practice, primary medical qualification and other qualifications, current and most recent appointments (up to three), specialty and special interests, and up to five society memberships. Brief entries for newly qualified and younger doctors will contain their name, GMC identifier and primary medical qualification. "The Medical Directory provides our regulated sales forces with a point-of-sale access to GP details. An excellent database."